Does your Early Years setting need some ooommmppff? Time and time again I hear from early years staff, managers, owners and volunteers that they are stuck. Do the children in your care struggle to… engage in play and their play environment? interact with children and adults? Regulate their emotions and behaviour? Are your staff team bored and stuck in a rut with their play provision and resources? Frustrated by the constant balance between meeting the child’s interests and needs whilst meeting statutory registration and inspection requirements? Enjoy CPD that is based in theory but also interactive and engaging? 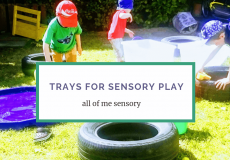 Through capacity building programmes, training and workshops – staff, parents and children will all have increased knowledge and awareness of sensory experiences in play. Looking for practical workshops and training? 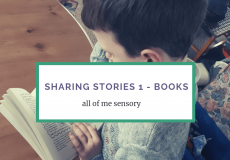 Want more sensory resources for your setting? 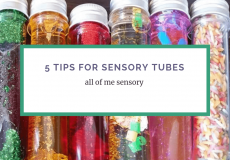 Start your sensory journey NOW! 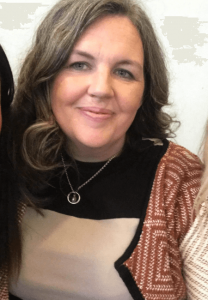 My Name is Carly Craig, I am an Independent Early Years Specialist with over 16 years experience working with students, professionals, families, babies, preschoolers and children with SEN. It is my passion and privilege to support families and staff to provide high quality sensory experiences for young children – truly believing the developmental benefits, provide the basis of socially and emotionally strong, securely attached children, who are inquisitive, motivated, and engaged in learning at their own rate, in a safe appropriate environment.